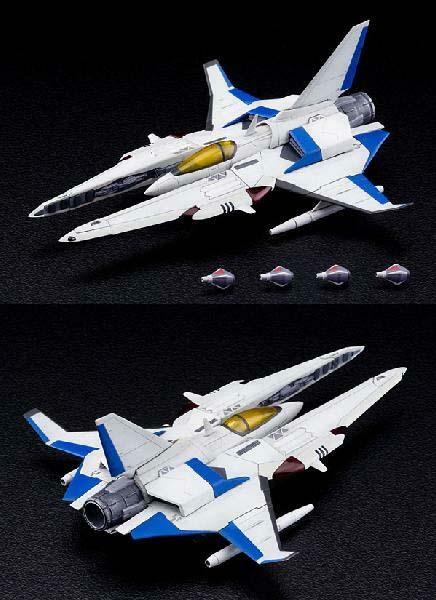 «©NCSX» The Vic Viper from Gradius II soars into the toy market, courtesy of Atelier Sai. Proportioned at 1/100 scale, the Vic Viper Plamodel kit features parts and chunks of plastic that have to be fitted and snapped together before the ship is complete and ready for abject admiration. Our estimate for total construction time is between 18-36 hours depending on your diligence and attention to detail. A display stand is included for mounting purposes. All preorders have shipped as of last Friday and new orders are welcome to ship today. Pricing is set at JPY4500 or US$46.90 from NCS. View larger photos for this item on the main NCSX website.. Please note this item is a dimensional weight item of 7 lbs. NCS recommends only shipping by UPS Ground to avoid onerous air shipping charges.